“Abiogenesis was a labor of love. A doodle taken to the nth degree,” says artist Richard Mans, describing his first animated short film. After spending several years as a freelance animator, Mans wanted more. He wanted to create art with meaning. He wanted to take his work to a new level. He wanted more from his existing software tool set. “I realized that the only way forward for me,” he says, “was to make a short film.” And Abiogenesis was born. “I started working on the robot that is the main character in the film when I first started teaching myself animation—just playing around with shapes in 3D space, with no grand designs,” Mans describes. The digital robot became part of his first show reel, was developed a bit further as a show piece, and then simply made for an interesting spectacle. After resolving to make a short film, Mans had trouble settling on an idea for the piece. 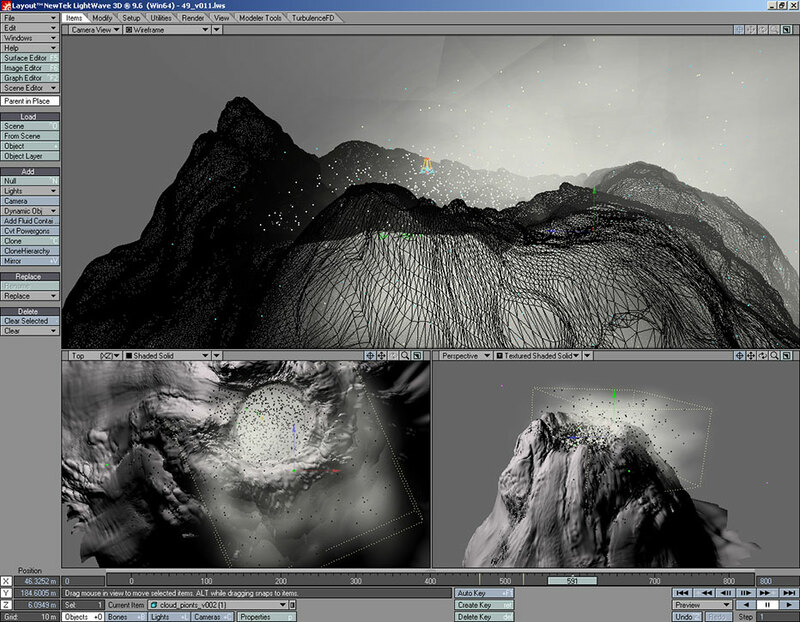 “I wanted to create something that would advance my work and style, be unique to my sensibilities, and inspire a sense of awe and beauty, while touching on universal themes.” The idea for what would become Abiogenesis fell into place when Mans saw animations depicting NASA's Mars Rover, inspiring him to ascribe a meaningful mission to his own robot. LightWave’s Layouts capabilities brought more order to the workflow, eliminating any confusion as to whether Mans had done extra modeling in a scene or referenced a model, for example. “It made updating models or switching them out with different resolution versions quick and reliable,” he explains. “It kept the scene file sizes very small, enabling me to save as many iterations of a scene as I wanted without thinking twice about it.” This feature proved particularly important when working with more than 80 shots and numerous incremental saves. Mans further streamlined his creative workflow by combining LightWave use with a gamepad controller. “I hardly ever use LightWave without my gamepad,” he affirms. “It has seriously sped up my workflow, as well as eliminated any problems I was having with repetitive strain injury (RSI),” a painful muscle condition. He recommends that fellow LightWave users try using a gamepad, with a layout similar to that of a Sony PlayStation 3 controller, programmed for all the LightWave hotkeys. Visit the Abiogenesis web site at www.abiogenesisfilm.com.